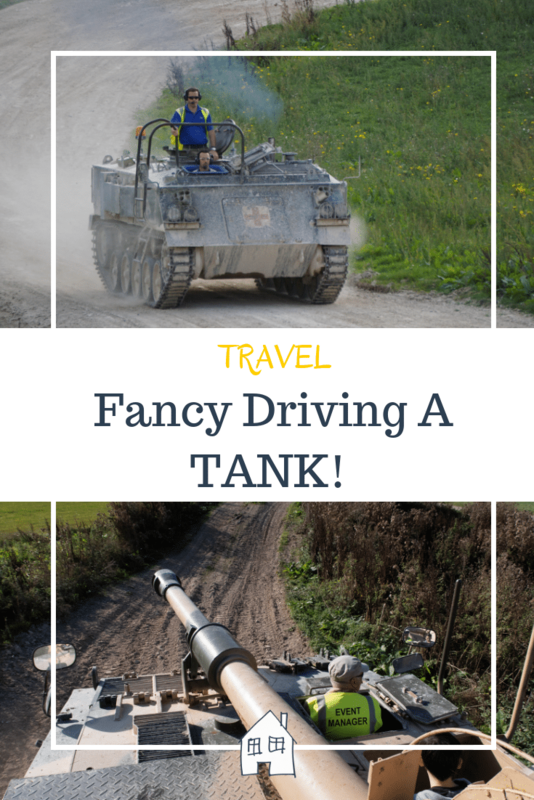 A tank driving experience is certainly not something I ever thought I would be writing about on the blog! But when my husband was given the chance to pick a Fathers Day gift with BuyAGift back in June I haven’t seen him move so quickly! He sat on the website looking at all the different experiences going from one thing to another. 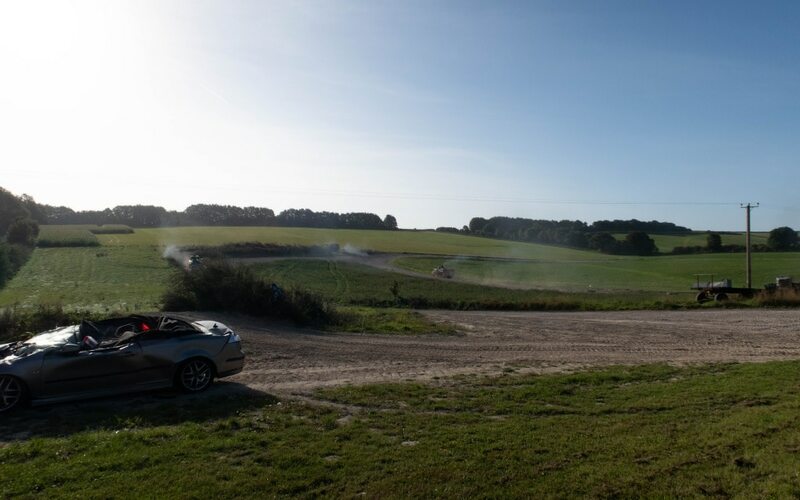 Sky diving, supercar driving, giant long zip wires and helicopter rides! He was spoilt for choice. 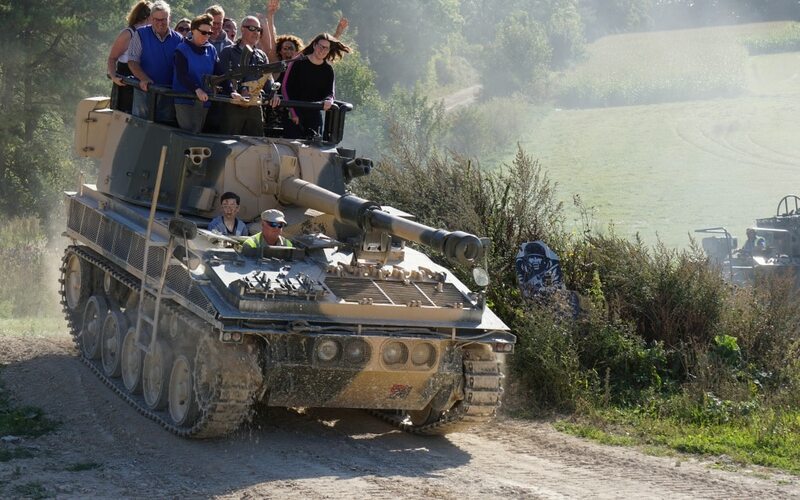 The one experience he kept going back to was a Tank Driving Experience! 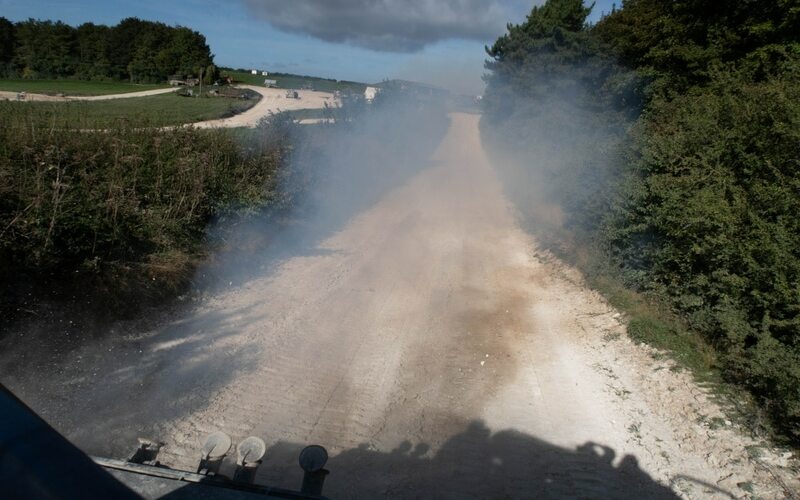 The tank driving experience we booked was very simple to book, however we did have to wait a few months . Not sure if this is normal or just because it was summer and it was busier. It was worth the wait though! Price at £195 this isn’t a cheap experience but it’s a brilliant gift and something my husband will remember forever. If you want to get an idea of what the day was like and how fast the tanks do go, have a look at my video I put together! I will now pass you over to Kev to give you an idea of what it was like from his point of view. 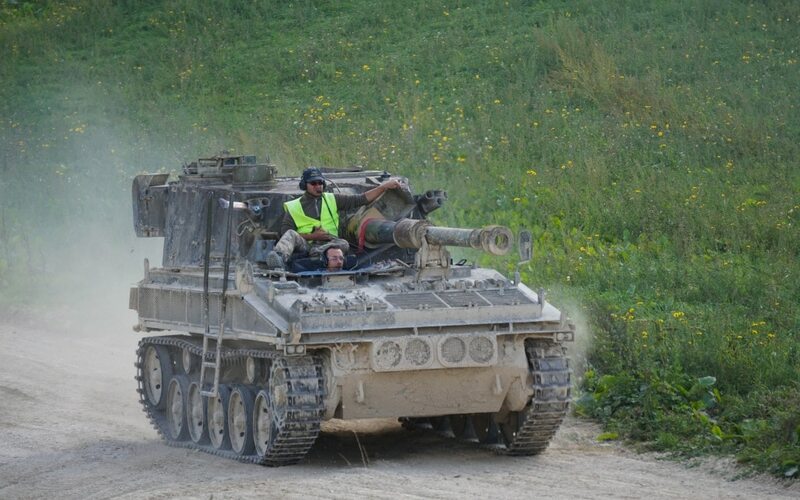 Lets’ get one thing straight right from the beginning, I loved this tank driving experience! 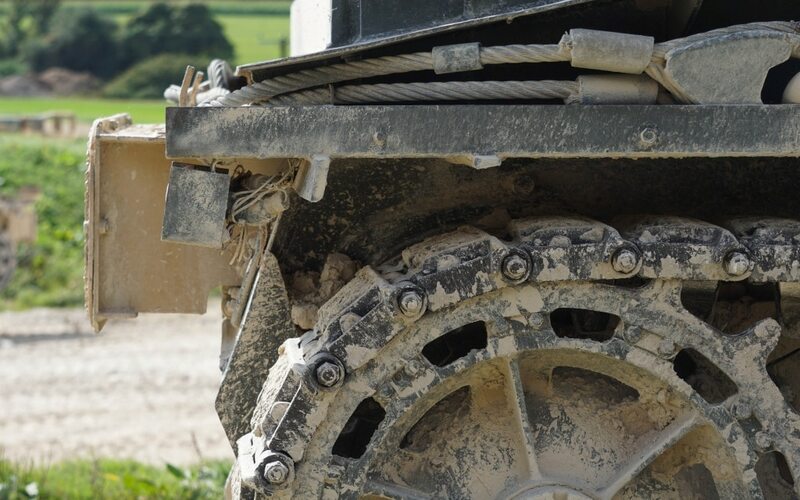 I’ve never been any sort of petrol head or been particularly interested in the Army, but to get behind the wheel (or should I say sticks!) 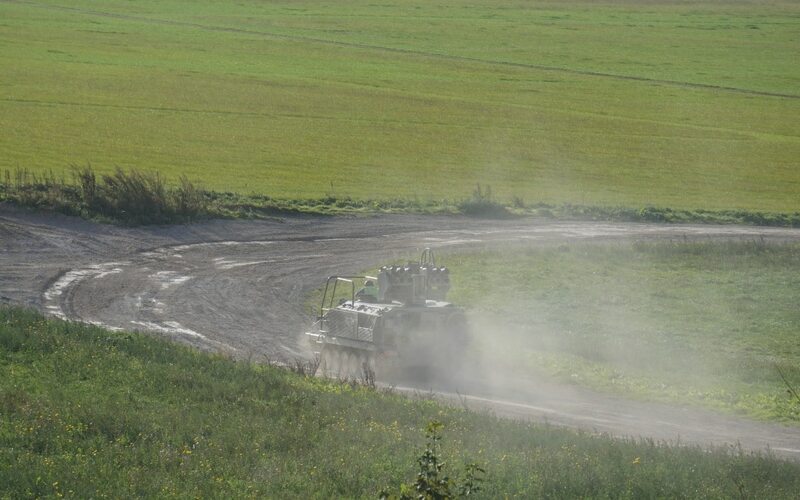 of big armoured vehicles like these is a singularly unique experience that I wont forget for a long time. Right from the off, the staff made me feel welcome and from the safety briefing at the beginning (laced with a large dose of humour to temper the serious message!) all the way through to the end I couldn’t of asked for any more. 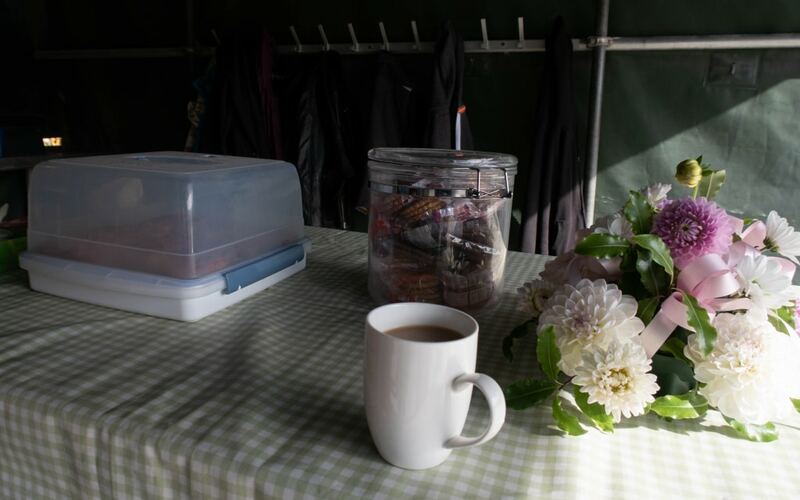 Couple this with free drinks and very delicious home made cakes made for a very enjoyable time. 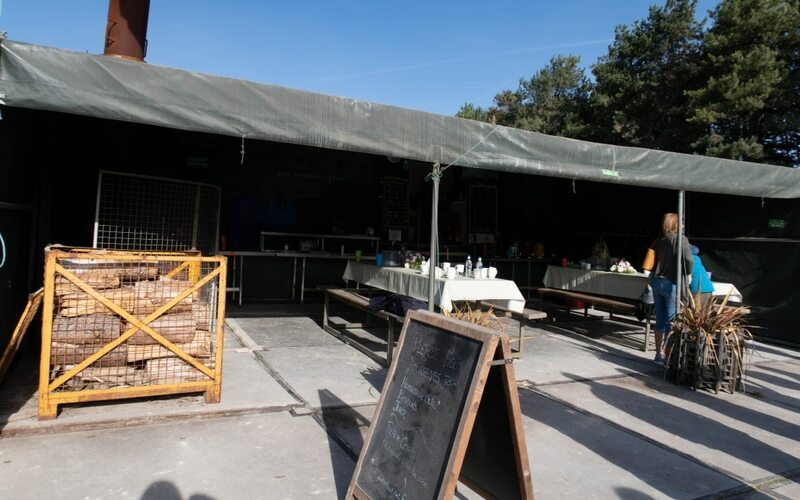 I visited on a warm dry sunny day so the warnings of wearing old clothes that will get muddy didn’t apply though it did get quite dusty going round the course in the tanks. 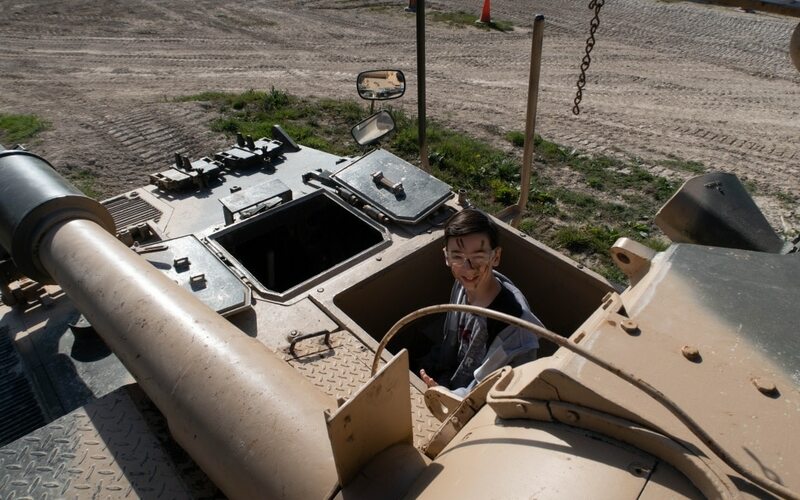 Driving the tanks was quite easy to pick up. Gone is the traditional steering wheel of your average road car, instead replaced with two levers. Pull the left one towards you to go left, right one to go right, simple once you get your head around it. Once you DO get used to it then the fun begins! 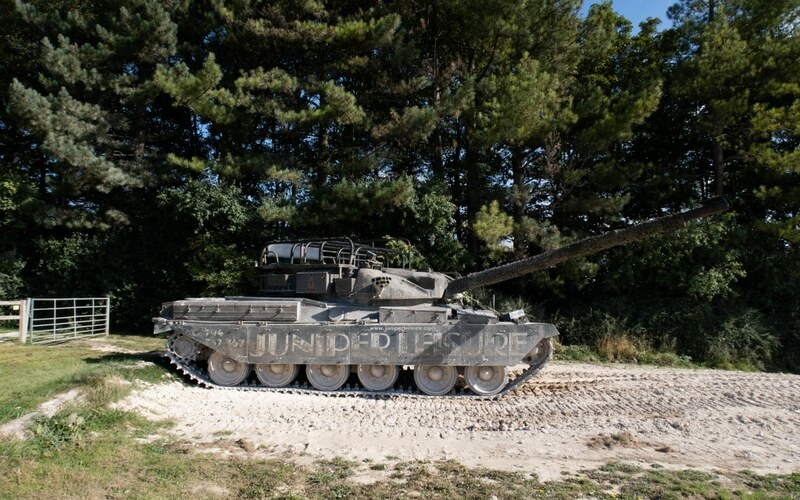 It’s a real blast to career around the countryside in 10 tonnes of metal (55 tonnes in the case of the Chieftain tank!) and all the time your made to feel safe with the instructor talking to you via a headset and advising what to do. 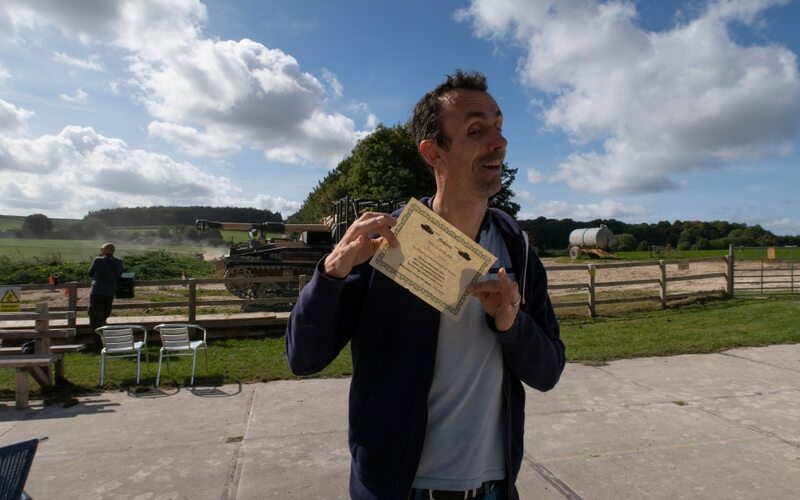 So, three hours later and four different tank driving experiences rolled into one (all four vehicles do drive differently) I can honestly say that I enjoyed every minute! I think the only thing I can is that I’d like to of done it in the wet, careering through the mud and water flying everywhere would have added another dimension to what was already a great experience! Oh well, there’s always next time…. So there you go, a massive thumbs up from him! Spectators Can Have A Go Too! What I was really impressed by was how involved the spectators can be in this too. 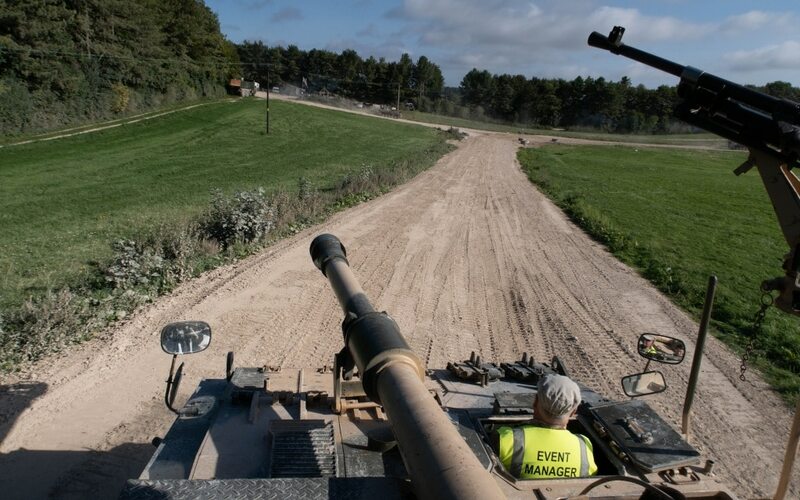 I can imagine some people have driven quite a way to come on this tank driving experience, so as a spectator being able to stay its nice to know how involved you can be too. All spectators pay £10 each, children under 10 are free. 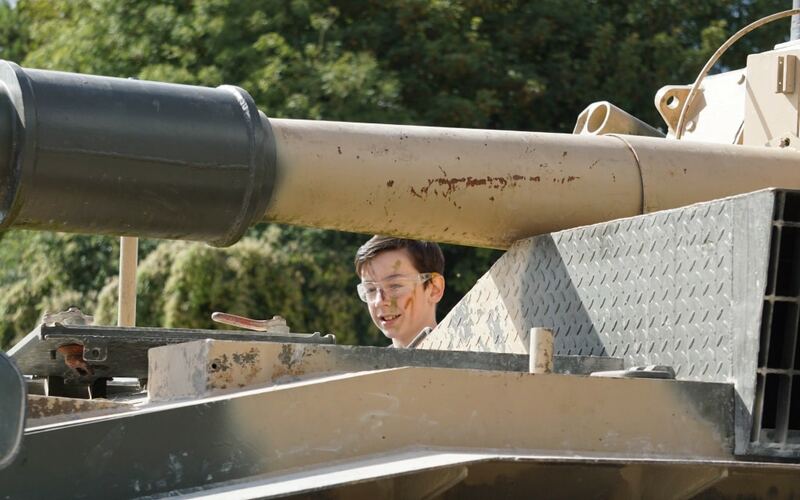 We took the chance to have some time with Tyler who is 14 and loves tanks. 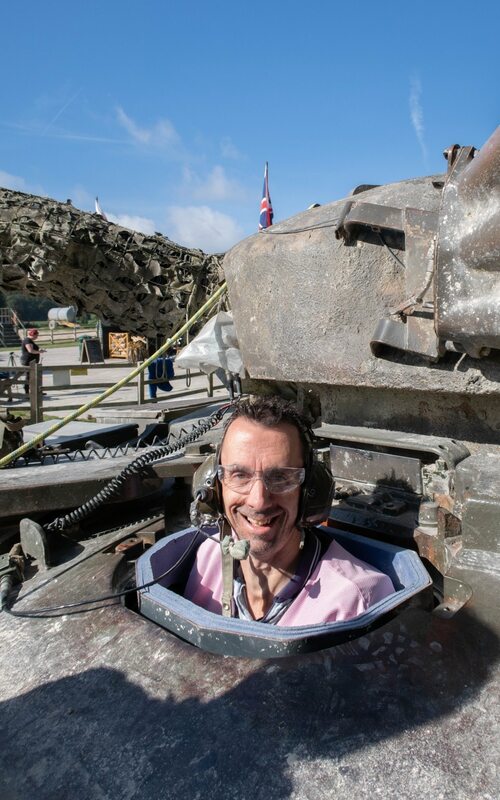 He was over the moon when the event manager came over, slapped on some face paint and got him to sit in the front of the tank whilst the others stood on the top! There I am on the top getting blown around, but what a fun experience to have! 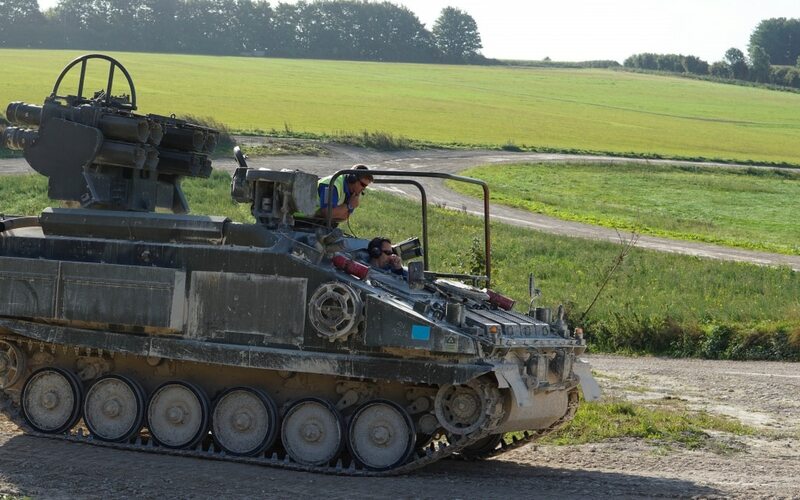 We managed to go out on this tank twice around the track throughout the morning. This wasn’t the only tank we got to go out on. 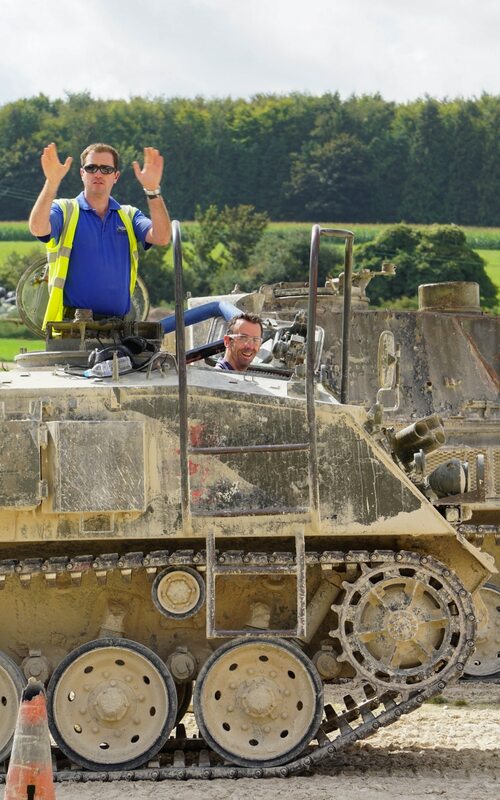 Whilst Kev was driving the Chieftain tank we sat up on the top! This one was fun. 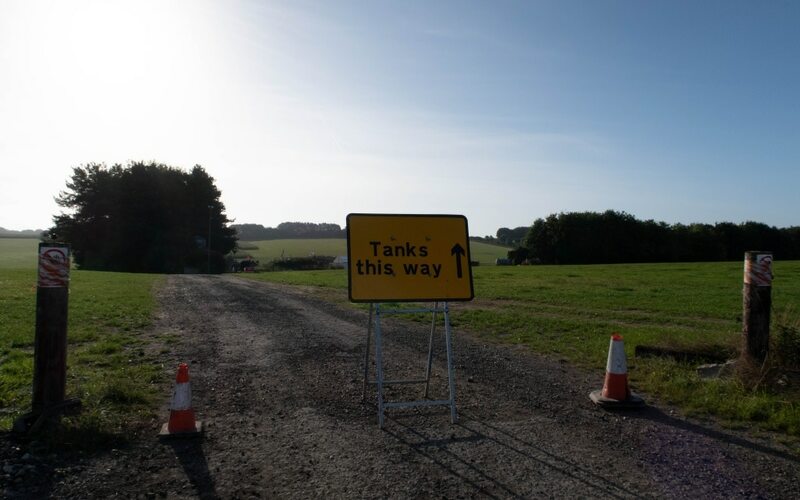 You basically floored the tank and drove as fast as it could in a straight line and down hill! Pretty fast and pretty bumpy! 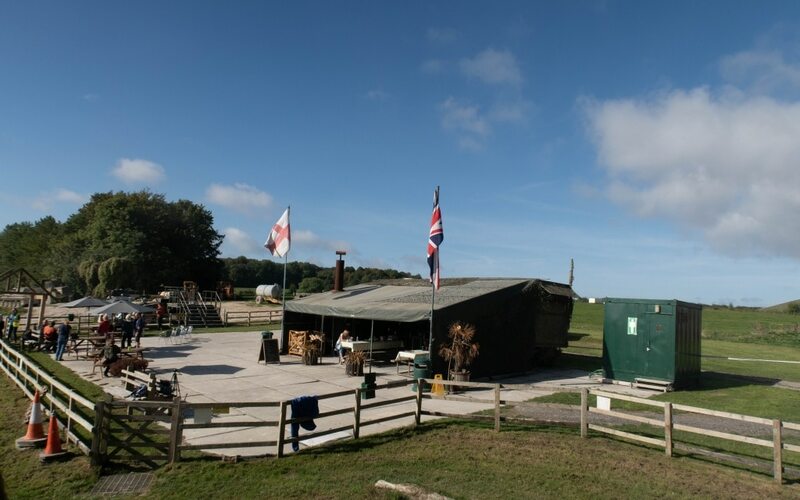 We all loved this tank driving experience from start to finish, the staff couldn’t have made you feel anymore welcome than they did. We all left the morning with a big smile on our faces and very impressed by the experience. It was great fun, so if you get the chance do it! So different and something he will always remember! This sounds like an amazing experience. I imagine how much fun it was to drive this and the homemade cakes sound tasty. The cake was amazing! He loved every minute!!! Yes he will remember this forever! Oh my goodness I didn’t know you could even do this as a gift experience! Looks and sounds like so much fun! Will be looking into this for my BF for sure! Oh my goodness, my husband would love this! Not 100% sure I’d want to be up there while he was driving around though, although I do like the sound of the cake! You can eat cake whilst watching him! 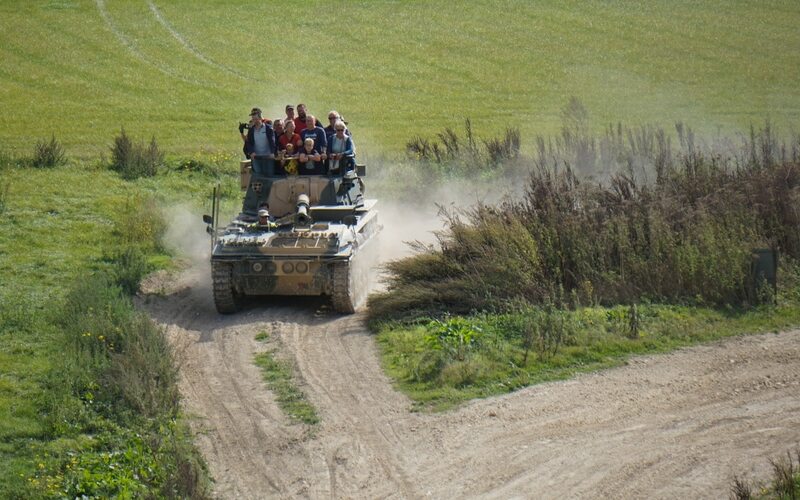 You can go out on one of the tanks with a pro if you prefer!!! Oh wow what an amazing experience! I bet my eldest would love to do that! It sounds an unforgettable day and something to impress your grandchildren. I know my grandson would love it but he is only three. Were there any women driving tanks or was it all men? Yes there was women driving them too, it was run by a lady and a hen party there too! Wow, this sounds and looks amazing! What a unique and different thing to do. My husband would love this! Very unique and not something he ever thought he would do for sure! Lol what a crazy idea for an experience but it looks like amazing fun I can see why he jumped at the chance. Such a crazy experience isn’t it! So much fun!